Last Stands is a citizen ground-truthing project. These are the people who are on the ground. Elsa grew up in the fishing village of Point Baker on northern Prince of Wales Island, and presently lives in Haines. For most of her 20s, Elsa captained a commercial salmon troller, fishing the wild coastline of Southeast Alaska, from the rugged shores of Prince of Wales to the glacier blue waters of Icy Strait. These days, Elsa deckhands on a drift gillnetter in Bristol Bay, and spend her winters working in conservation, most recently as Executive Director of Lynn Canal Conservation. Elsa is a 100 ton licensed captain, and is learning how to sail aboard her 38-ft ketch—the Murrelet. Elsa loves the wildlife of Southeast Alaska, and serves on the Board of Directors of Alaska Whale Foundation. Natalie Dawson has spent over a decade working as a research biologist in southeast Alaska, where she eventually received her PhD studying the charismatic mesofauna on Tongass Islands, focusing on endemic mammals. Natalie is a research associate with the University of New Mexico, where she continues to assist with the ISLES project (Island Surveys to Locate Endemic Species) based in southeast Alaska. She continues to learn from the Tongass through teaching field courses to college students among the forested islands. 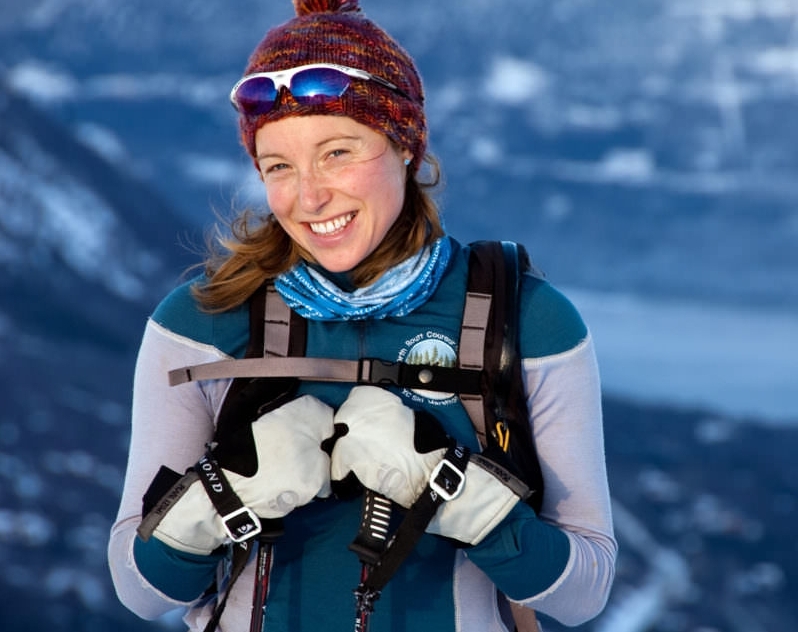 Natalie is also the Associate Director of the Wilderness Institute at the University of Montana, and teaches the Wilderness and Civilization program, an interdisciplinary field and campus-based program that awards college students with a minor in Wilderness Studies upon completion. She is most at home when bushwacking through Vaccinium and Oplopanax in orange, Helly Hansen raingear. Mara joins the team as an artist working in the tradition of natural history illustration. Growing up in Helena, Montana, Mara learned to draw by copying the illustrations from the worn pages of her dad’s bird guides. Mara began her career as an artist-naturalist working at the United States Botanic Garden in Washington, D.C. as the in-house botanical illustrator. Last winter, Mara biked the length of the Baja California Peninsula documenting the region’s rare and endemic flora. Currently she is painting the variations of light and color on the Greenland ice sheet while working seasonally at Summit Station, a National Science Foundation research camp. Carrying her field journal and watercolor paints, she will document the threatened flora and fauna of the Tongass National Forest. Read about Mara's Tongass illustrations here. As a documentary filmmaker, Colin is most often directing projects related to conservation and adventure. Colin grew up in the woods of Vermont, but after graduating from University of Vermont with a degree in Natural Resources he headed west to explore the mountains and eventually launch Wild Confluence, a film production company rooted in the outdoors. In 2016, Colin returned to UVM to earn a master’s degree in Sustainability Leadership. Colin has worked on several projects in Southeast Alaska, including Irreparable Harm, a film about mining and environmental injustice on Admiralty Island. Gleb first came Alaska to work with Sitka Conservation Society. He returned in the summer of 2015 with the support of a National Geographic Young Explorer grant to take part in an archaeological expedition to uncover an 1813 Russian shipwreck. In 2017, Gleb started as a full-time Director of Photography for VICE News Tonight on HBO, and spent the next couple of years traveling the country with the VICE team. Gleb has spent a season commercial fishing in Alaska; and is coming back to Southeast AK in 2019 to work with Last Stands and go longlining for halibut. Bo and Marja have a homestead in Farragut Bay where they make a living running a small mixed vegetable farm. They have spent decades exploring the Farragut River valley and the mountains, lakes and forests that surround it. Most of their waking moments are spent trying to figure out how to grow bigger turnips but they also work to promote local commercial agriculture throughout Southeast Alaska. Read about Bo and Marja's 2017 transect here.